XTS is advance enterprise scale sell side multi market and multi asset trading system from front to middle-office system to manage everything you need to streamline your retail broker-dealer, prop and Institutional trading business to maximize efficiency, performance, transparency and give you a competitive edge. 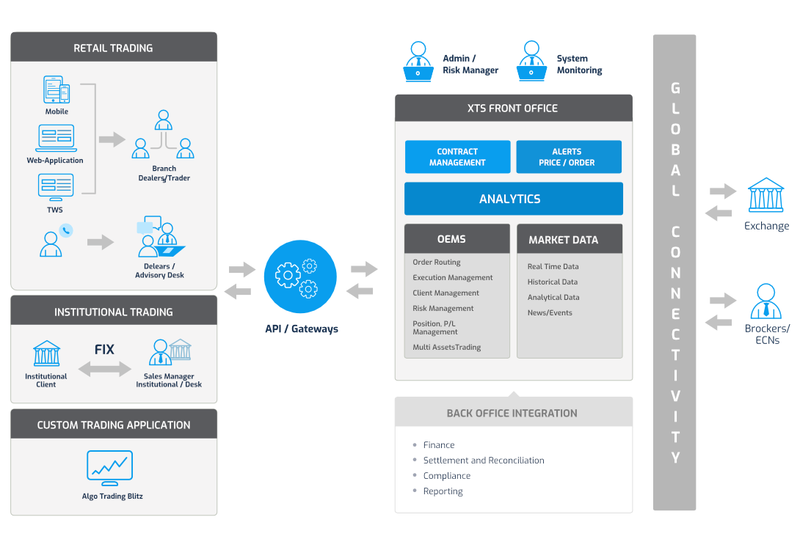 It offers advance front-ends (TWS, Mobile and Web), sophisticated order execution management System(OEMS), risk management system, manage compliances, direct exchange connectivity, market analytics, monitoring and reporting to provide a seamless trading experience to traders and Investors in broker-dealer setup with unified trading interface across exchanges and liquidity providers. 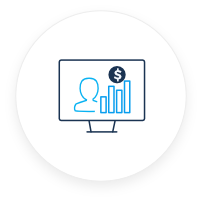 With XTS you make a trading decision smarter, faster while maintaining compliance risk with flexibility to customize system to your brokerage business needs. 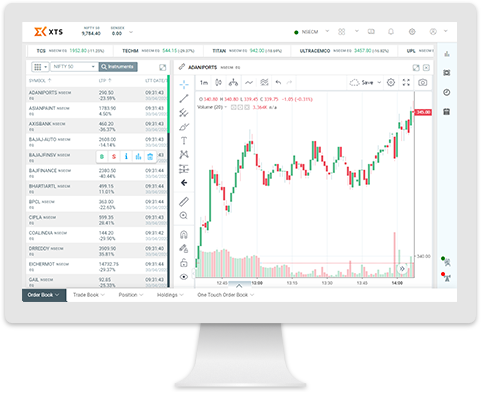 XTS is a muli-asset trading platform for retail broker with business of multiple offices, dealers, retail investor and traders. 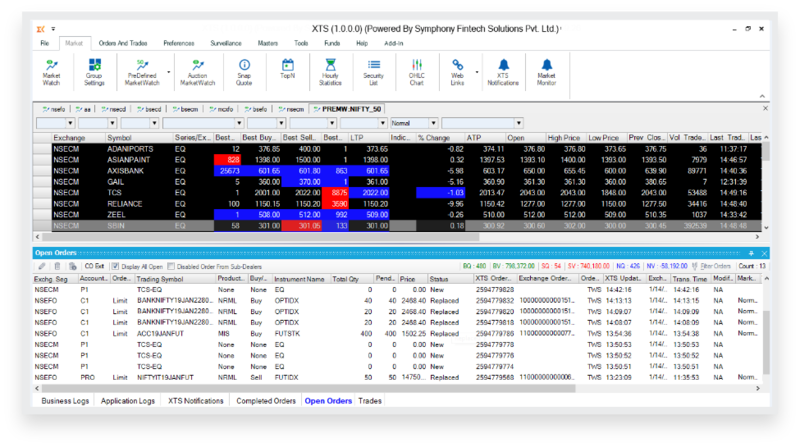 It comes with sophisticated OMS, RMS, compliance, back-office integration, trading platform, market data and exchange conenctivties. It is available with powerful intitutive trading terminals available in desktop, web and mobile version with advance trading features. For Institutional clients to meet trading objective, fast, reliable and superior execution is a priority. XTS provides leading technology for advance executions solutions, DMA, Executions Algos, customized algorithmic trading, FIX Gateways to all major markets with comprehensive Order and Risk Managements. 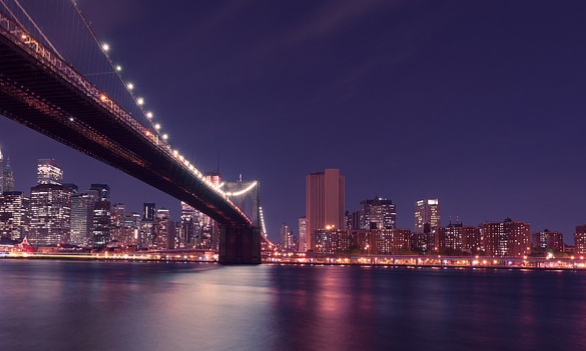 “What-If” analysis of the impact of proposed trades on exposures, compliance and risk. Client real-time risk monitor based on margin, M2M etc. Customized risk based on product types.  XTS Mobile trader lets retail trader and investor quickly and easily access the financial markets and perform trading operation on favorable conditions. View market prices, analytics, research information and executes trades with ease and speed from your Android or iOS mobile device. XTS web trader is a HTML5 based advance trading platform accessible from any computer with an internet connection. 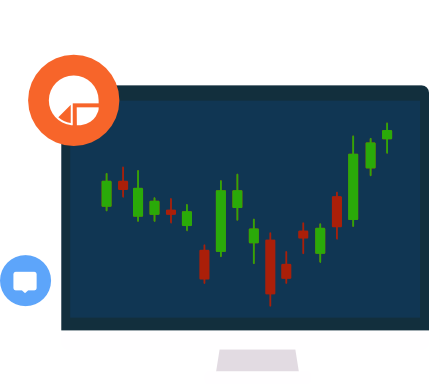 It is fully customizable according to your personal preferences and provides a fast, powerful and simple-to-use tool that comes with all the features and functionalities found in a conventional download trading platform. 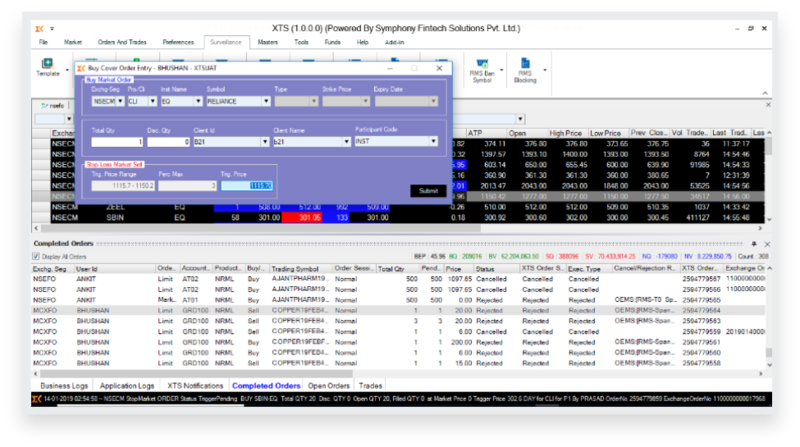 XTS TWS is advance trading front-end interface for professional trader and broker-dealers offers reliable, feature rich and fast trading terminal for scanning opportunities and efficiently execute them. 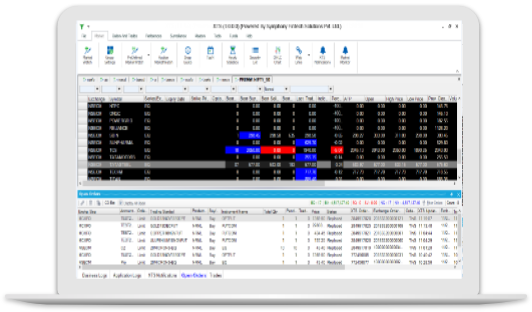 The TWS is an installed version supporting multiple market and asset class. 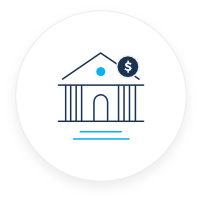 With its rapid and advance order management system, the account, position management and risk monitoring is accessible at your finger tip. 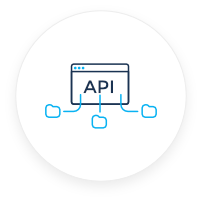 With its powerful support of Front-End API, it allows you to integrate your algorithmic trading application to automated order execution with control of One-Touch and DMA. The market watch dashboard to have a complete view of real-time price changes. 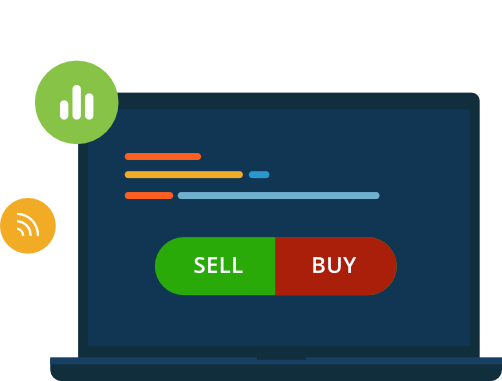 Widget based web trading dashboard to customized it the way you trade.